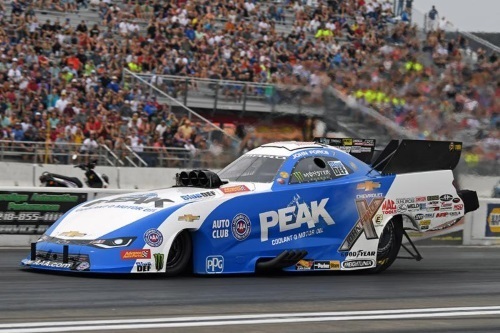 READING, Pa. (September 12, 2018) — Few drivers have had more success at Maple Grove Raceway, site of this week’s Dodge NHRA Nationals, than drag racing legends John Force and Kenny Bernstein. Between them, the two appeared in 21 finals. They won 10 races. Bernstein is the only driver to have won in both Top Fuel and Funny Car while Force has hoisted more Wally trophies at The Grove than any driver in history (seven). From the first event in 1985 until 1999, a stretch of 14 seasons, one or the other raced for the title every year but, ironically, never in the same year. That body of work, coupled with their performance in the 1990 NHRA versus NASCAR charity baseball game at Reading Municipal Stadium, a contest in which Bernstein went two-for-six with two RBI and Force belted a home run, led to their 2009 enshrinement in the Maple Grove Walk of Fame. In recognition, their names now are inscribed on bricks displayed permanently along the Alfred S. Stauffer Memorial Walkway behind the pit side grandstands. Today what sets the two apart though is that while Bernstein is retired from the tour and playing golf this week in Colorado, Force is back at Maple Grove where once again he will strap into the cockpit of the PEAK Coolant and Motor Oil Chevrolet Camaro SS Funny Car and do what he’s done for 753 previous weekends over the last 42 years. Although the two never exactly were BFFs, when asked what separates Force from his peers, Bernstein has said that “it is his ability, every year, to continue to motivate himself and his team to go out and make the sacrifices you have to make to race for a championship. 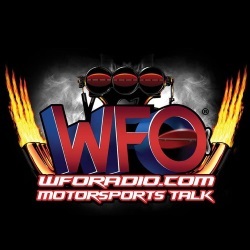 Indeed, Force will roll his car to the starting line in his 34th appearance at the Dodge Nationals for no other reason than to try and win his 150th tour event. He’s not racing to be the oldest to mash the throttle on a 10,000-horsepower race car. He’s not looking for a chorus of “attaboys.” He simply wants to win. Despite early season incidents that had critics calling into question his car control skills, despite a rare DNQ at Houston that ended a streak of 221 consecutive starts and despite finishing the first eight races outside the Top 10 in Mello Yello points, Force answered with a win July at Denver that powered him back into the Countdown. In winning a tour event for the 31st different season, Force kept intact his status as one of only seven pro drivers to have qualified for the playoffs in every year of the Countdown Era while at the same time assuring his 34th consecutive Top 10 finish.